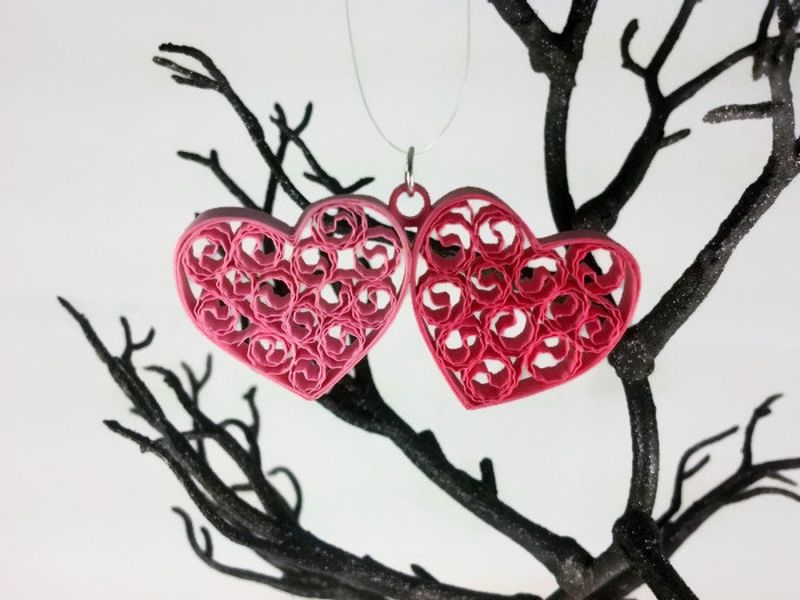 This two hearts jewelry set handmade with paper quilling would be an ideal traditional first anniversary gift of paper. 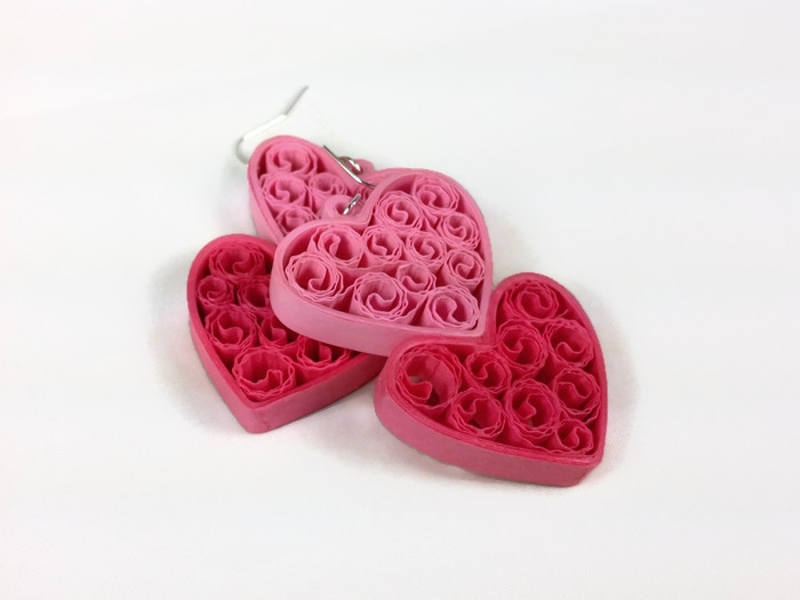 Say to your sweetie "two hearts, one love" without uttering a word. 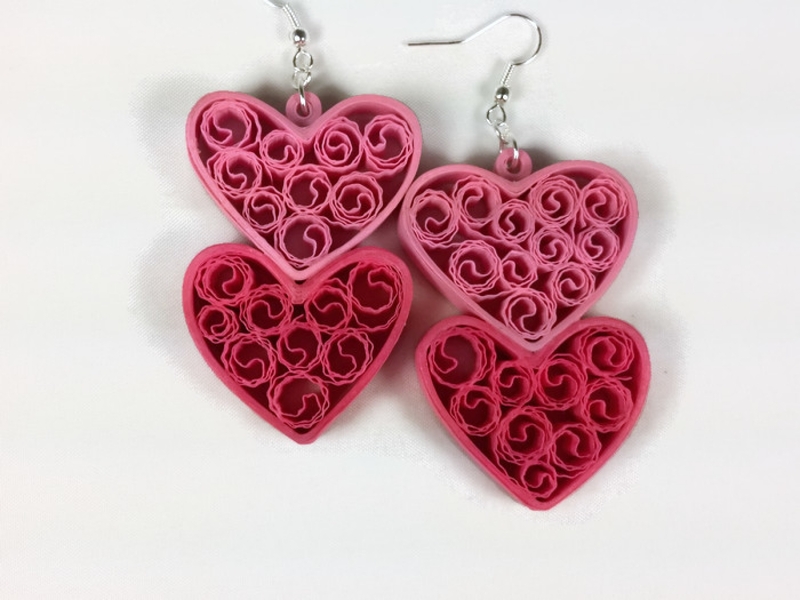 The set includes dramatic double heart earrings and a matching pendant. 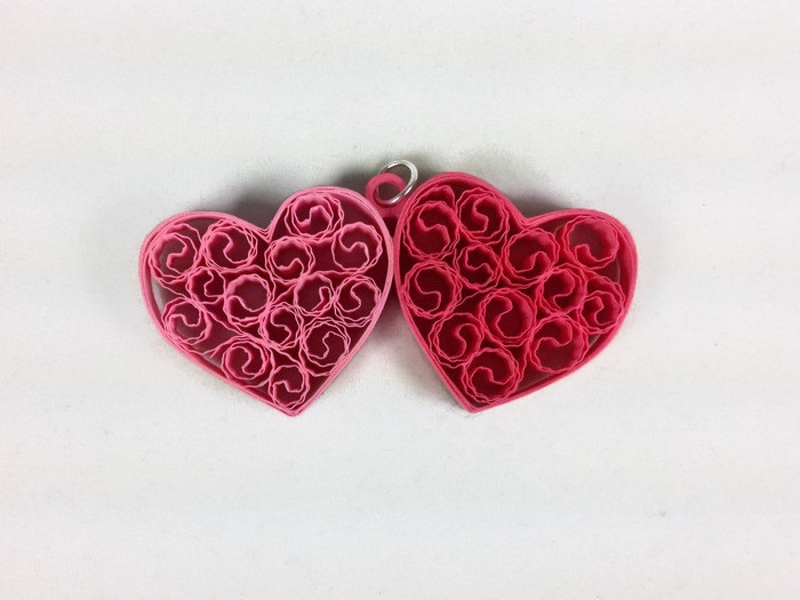 Each piece boasts two oversized filigree hearts in different shades of pink. They have been carefully hand painted in a sealant which makes the set water resistant and UV resistant. All pieces are super lightweight. 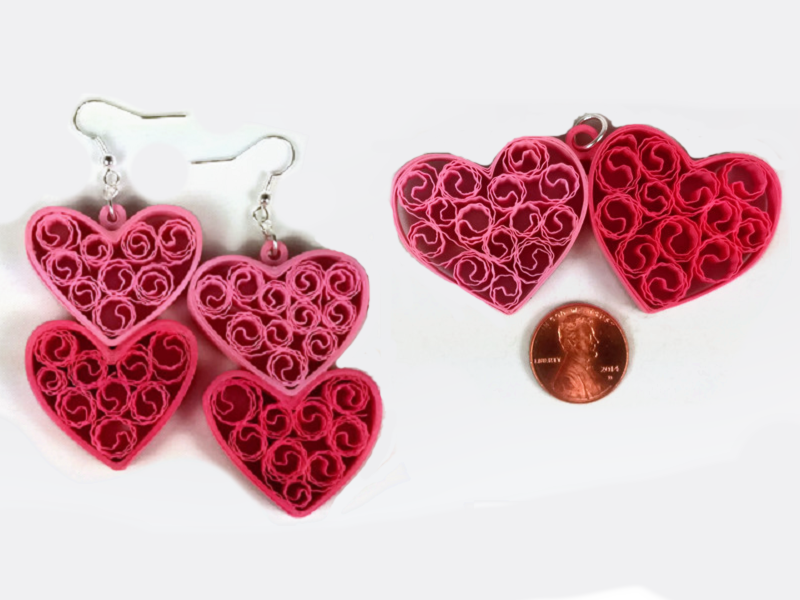 The earrings in this set include plastic safety backs. These items are made to order which means I will make you a fresh set as soon as you order. Your pieces will look nearly identical to the photographs provided. Small variations may be present, as each item is one of a kind. If you like this and prefer a different size or color combination please message me; these CAN be made SMALLER upon request. I will be delighted to make you a custom piece!